In our latest edition of SNUBA Operator Spotlight, we caught up with John Flynn of Sand Dollar Sports. 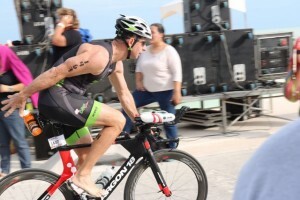 From Whale Sharks and Ironman competitions – to breakfast burritos and the beautiful ocean views of Cozumel, this is a great interview and one we hope you’ll enjoy! SNUBA: Can you tell us a little bit about your involvement with ‘Sand Dollar Sports’ and how the business has expanded over the years? SNUBA: Tell us a little bit about Cozumel and the surrounding area and how it might differ from other vacation spots in Mexico. What advice would you give families looking to spend time here? 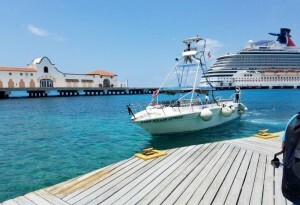 John: Cozumel is the jewel of Mexico. It is the home of all three branches of the military: The Army, Navy and Air Force are all based here. It’s safe and peaceful, stunningly crystal clear warm waters entice all that visit. We have a 60km dedicated bike path for very safe bicycle touring. Beautiful white sand beaches and calm waters that grace the western side are perfect for family beach activities. While the east side provides an open ocean experience with sprawling beaches and plentiful surfing locations. 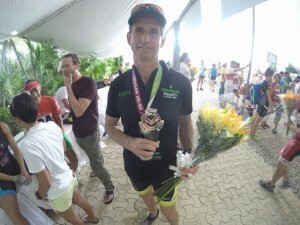 SNUBA: Is it true that you run marathons and participate in Ironman competitions? Please tell us a little bit about your exploits: How long have you been doing them, how frequently do you participate, and any amazing memories or successes you can share! John: I have been participating in Triathlon competitions since 2011. Prior to that I did individual bicycle, swimming and running races. In 2011 I began to pull it all together. I have competed in 3 – 70.3 Ironman competitions. On the last 2 of those occasions I came in 3rd place and qualified for the world championships. I have competed in 25+triathlon competitions. During a two and a half year period 2013, 2014 and 2015 I had a streak of 13 consecutive podiums and qualified for 3 world championships, both ITU and Ironman. I will be participating in the ITU World Championships taking place here in Cozumel, Mexico from Sept 13-18 2016 in the Olympic Distance competitions. 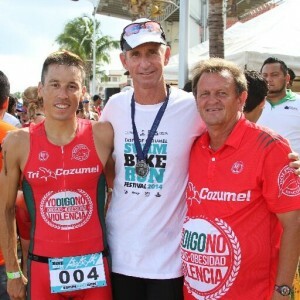 My most memorable competition was my first ITU triathlon in Cozumel. I had been able to hold on to 1st place through the entire race until km 8.5 on the run, when the 2nd place tried to pass. We both broke into a sprint for 100 yards until we were both spent. It was back and forth 5 times before the finish line. I thought I had him at the end when I sprinted by with 100 meters to go, somehow he found the strength to pull off one more sprint with 30 meters left and passed me at the finish line. I had to settle for 2nd that day but WOW what a race!! SNUBA: What types of special foods are native to the area that a visitor absolutely must try? Are there any favorite restaurants in the area that you’d recommend? John: Many of the native foods originate from the Yucatan or Yucatecan food. Chicken Pibil or freshly caught fish are a must try while visiting. 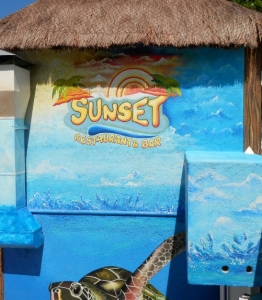 “Sunset” Restaurant and Bar, La Choza or La Mision are some of the best restaurants on the island and a must visit. 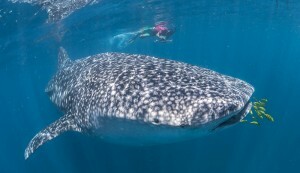 SNUBA: On your website, we see a lot of pictures and information about whale sharks. Tell us a little about these amazing creatures and what it’s like to actually see these animals! John: The Whale Shark experience is truly a bucket list item. These are amazingly docile fish and being in the water with them and swimming along side of them is absolutely inspiring and at the same time humbling. 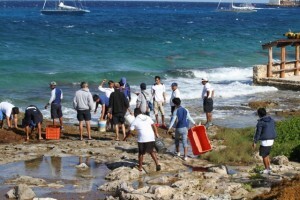 SNUBA: We know that you offer several activities to your guests, SNUBA being one of them. 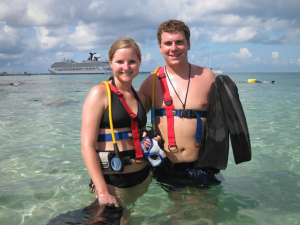 What sets SNUBA apart from snorkeling or Scuba Diving and what experience can a visitor expect when they SNUBA? What types of sea life can they expect to see? Can older adults and children also be qualified to SNUBA? John: Snuba is very user friendly for the entire family. It simplifies the complexities of diving into one simple program that’s fun and safe. 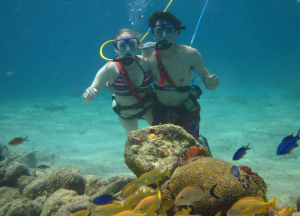 The depth you are able to submerge to is controlled by the length of your air hose and you are professionally guided by certified snuba guide and PADI Divemaster. The Sunset beach location has an amazing diversity of juvenile reef fish and coral formations. We are also the location of the “Golden Diver Award”. Jacque Cousteau, Roman Bravo and others have their bronze busts permanently on display just off shore in shallow water. SNUBA: Last but not least, is there a favorite story or memory that you can share related to your Adventure Business? John: There are so many, but my favorite memories are always the kids and their shear joy when returning after the Snuba experience with us and the guides. The smiles on their face and the excitement in their voice. It opens an entirely new world for them. ⟵Trilogy Excursions is our 2015 Operator of the Year!